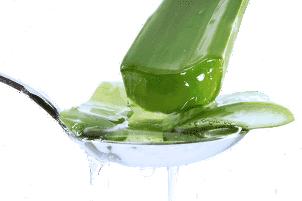 Frantsila salves, creams and liniments cover a wide range of products. The skin care and moisturizing creams are designed with precision, taking into account the needs of the different skin areas of the body. The 11 Herb Salve is a skin renewing and calming organic all-round cream. The Pine Tar and Tree Sap Salve is suitable for cracked heels and different skin problems such as psoriasis. 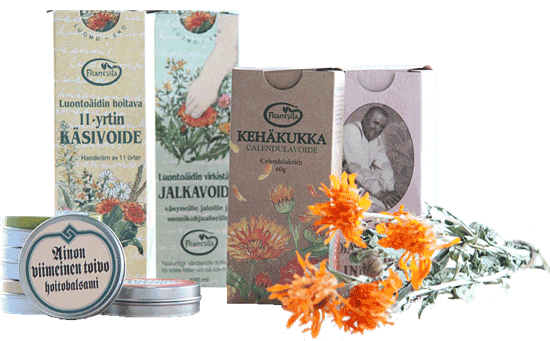 Aino's Last Hope Ointment contains traditional herbs treating in particular aging skin. The Dragon Salve and Tiger Power Salve both invigorate blood circulation and release muscle tension. The salves meet European standards for natural cosmetics. No animal testing, animal or genetically modified substances, mineral oil, silicates, artificial colors or scents, or parabens. The ingredients marked with * are certified Organic.